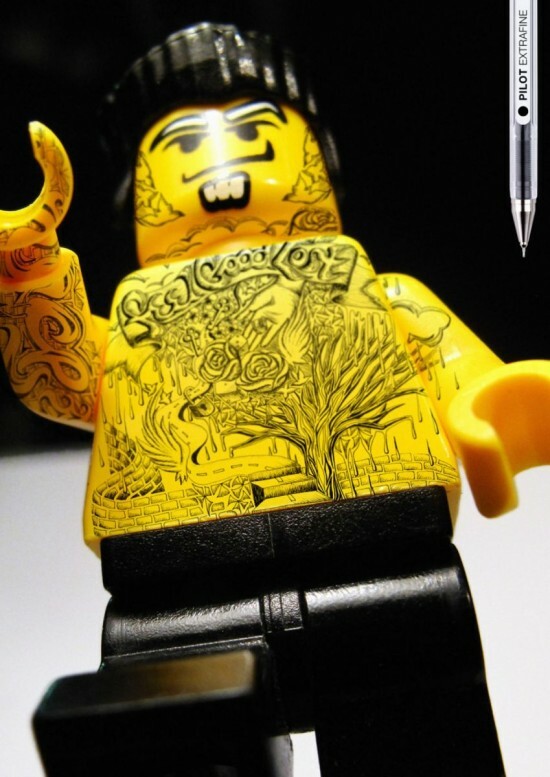 The ad firm Grey Group made a series of LEGO minifigs that look as though they've received tattoos. They're advertisements for Pilot brand ballpoint pens. You can view several more images at the link. Now that is too cool... Creative way to market a product.